AppliTek, a leading designer and manufacturer of wet chemical and biological online analyzers, has been sold to Hach Company, a subsidiary of Danaher Corporation. AppliTek develops application-specific solutions for customers in a range of industries including municipal drinking water and wastewater, environmental protection and industrial segments such as chemical, mining, and power generation. AppliTek’s online analyzers and integrated systems help customers increase efficiency, meet compliance requirements and reduce costs. 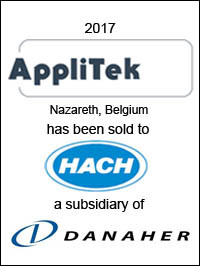 AppliTek is headquartered in Nazareth, Belgium and serves customers in more than 120 countries through direct sales and distributors. Founded in 1985, the company has experienced rapid growth in recent years, with robust demand for its instruments that measure a broad range of wet chemistry parameters including Nutrients, Hardness, Alkalinity, Toxicity, ATP, TOC and many others. AppliTek’s long history of creating value-added solutions for industrial markets has established the company as a leader with deep understanding of customer applications. 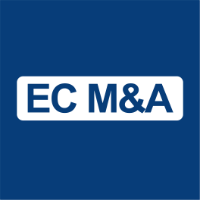 EC M&A acted as exclusive financial advisor to AppliTek on this transaction.